At Bethesda, we believe there is nothing more exciting than a vibrant and growing relationship with God. And we want to help kids experience that excitement for themselves. Each week, we strive to help children develop spiritually in a fun and safe environment. Music, crafts, games, and creative Bible teaching help kids learn practical truths to guide the way they live. We offer classes on Sunday and Wednesdays. A Nursery is provided during the morning worship service for ages up to 3 years old. 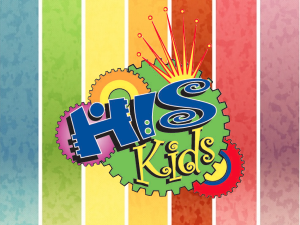 Sunday School is age appropriate instruction in Bible stories provided for children up through 5th grade and meets at 10:00 AM. Sunday School emphasizes Bible knowledge. By looking at the people and events of the Old and New Testaments, teachers provide children with a deeper understanding of God and His Word. Refresh is a well rounded mid-week program which balances high-energy activities and games with high-impact Bible lessons, Scripture memorization, and life application. VBS is a fun-filled week of bible study, mission adventures along with games and refreshments. Your child’s summer would not be complete without it. We understand the significant trust parents are placing in us when they turn their children over to our care. We want to do everything possible to insure a safe and secure environment for your child.